Anastasia Iliadeli is a political scientist. 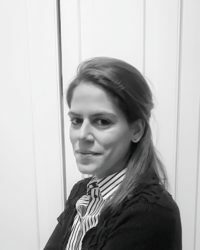 She holds a Ph.D. in Comparative Politics from Aristotle University of Thessaloniki (AUTh). She has also completed two master’s degrees; one at AUTh in Political Analysis and one at LSE in Comparative Politics. The domains of interest that she focuses on include the research of extreme right, populism, antisemitism, and conspiracy theory. She has co-translated into Greek the following two books, both written by the French political philosopher and historian of ideas Pierre-André Taguieff: What Is Antisemitism? and The New National-Populism. She has also translated into Greek as well as edited Taguieff’s book Conspiratorial Thought and “Theories of Conspiracy.” While pursuing her Ph.D., she received scholarships from the Alexander S. Onassis Public Benefit Foundation, the Foundation for Education and European Culture (IPEP), and the Research Committee of AUTh.